Justin Aldrich Rockefeller (born July 12, 1979)  is an American impact investor and financial technology professional. John Davison "Jay" Rockefeller IV is an American politician who served as a United States Senator from West Virginia (1985-2015). He was first elected to the Senate in 1984, while in office as Governor of West Virginia (1977–85). 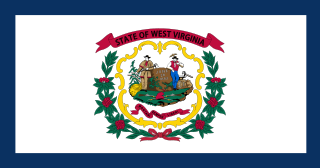 Rockefeller moved to Emmons, West Virginia, to serve as a VISTA worker in 1964 and was first elected to public office as a member of the West Virginia House of Delegates (1966). Rockefeller was later elected West Virginia Secretary of State (1968) and was president of West Virginia Wesleyan College (1973–75). He became the state's senior U.S. Senator when the long-serving Sen. Robert Byrd died in June 2010. Sharon Lee Percy Rockefeller is the wife of former West Virginia Senator John Davison "Jay" Rockefeller IV and served as that state's First Lady from 1977 to 1985. Rockefeller is the Global Director of Family Offices and Foundations at Addepar,  a financial technology company. Addepar, Inc. is an American investment management cloud based technology company that offers an integrated financial software platform. From 2009 - 2018, Rockefeller served on the board and the investment committee of Rockefeller Brothers Fund; in those capacities, he helped the private foundation align its endowment with its mission. He also serves on the board of Japan Society, and speaks occasionally about impact investing, family offices, and technology, including at the World Economic Forum at Davos, Milken Institute, Young Presidents' Organization|YPO, etc. Previously, Justin was Venture Partner at Richmond Global, LLC, a global venture capital firm focusing on technology-enabled services and mobile technologies in the U.S. and across major emerging markets. Justin’s previous board memberships include: Voxiva, Inc.; Rockefeller Family Fund; Population Council; The International Council of The Museum of Modern Art; the Alliance for the Arts; and Generation Engage, which he cofounded in 2004. He also served on the National Leadership Council for GLSEN – the Gay, Lesbian, Straight Education Network, and on the NY State Commission on National and Community Service. GenerationEngage was a non-partisan, non-profit organization founded by the children of prominent American political figures that combined grassroots outreach with new technologies to increase civic participation rates among young Americans who lack college experience. GenerationEngage was founded in 2004 by Jay Rockefeller's son Justin Rockefeller and Strobe Talbott's sons Adrian and Devin. John Edwards's daughter Cate was a founding board member. Venture capital (VC) is a type of private equity, a form of financing that is provided by firms or funds to small, early-stage, emerging firms that are deemed to have high growth potential, or which have demonstrated high growth. Venture capital firms or funds invest in these early-stage companies in exchange for equity, or an ownership stake, in the companies they invest in. Venture capitalists take on the risk of financing risky start-ups in the hopes that some of the firms they support will become successful. Because startups face high uncertainty, VC investments do have high rates of failure. The start-ups are usually based on an innovative technology or business model and they are usually from the high technology industries, such as information technology (IT), clean technology or biotechnology. Temasek Holdings Private Limited is a Singaporean holding company owned by the Government of Singapore. Incorporated in 1974 as a Commercial Investment Company, Temasek owns and manages a net portfolio of $308 billion, with S$16 billion divested and S$29 billion invested during the year, and 68% exposure to Asia – 27% Singapore and 41% Asia ex-Singapore. It is an active shareholder and investor, and its investments are guided by four key themes – transforming economies, growing middle income populations, deepening comparative advantages and emerging champions. Its portfolio covers a broad spectrum of sectors including financial services, telecommunications, media and technology, transportation and industrials, life sciences and agribusiness, consumer and real estate, energy and resources, as well as multi-sector funds. Headquartered in Singapore, Temasek has a multinational team of 730 people, in 11 global offices including 2 offices in Beijing, and 1 office in Shanghai, Mumbai, Hanoi, London, New York, San Francisco, Mexico City, Washington, D.C., Sao Paulo. The Rockefeller family is an American industrial, political, and banking family that owns one of the world's largest fortunes. The fortune was initially made in the American petroleum industry during the late 19th and early 20th centuries by John D. Rockefeller and his brother William Rockefeller, primarily through Standard Oil. The family is also known for its long association with, and control of, Chase Manhattan Bank. The Rockefellers are considered to be one of the most powerful families, if not the most powerful family, in the history of the United States. Lazard is a financial advisory and asset management firm that engages in investment banking, asset management, and other financial services primarily with institutional clients. It is the world's largest independent investment bank, with principal executive offices in New York City, Paris and London. Omidyar Network is a self-styled "philanthropic investment firm," composed of a foundation and an impact investment firm. Established in 2004 by eBay founder Pierre Omidyar and his wife Pam, Omidyar Network reports it has committed more than $992 million to nonprofit organizations and for-profit companies across multiple investment areas, including Consumer Internet & Mobile, Education, Financial Inclusion, Governance & Citizen Engagement, and Property Rights. Wealth management is an investment-advisory discipline which incorporates financial planning, investment portfolio management and a number of aggregated financial services offered by a complex mix of asset managers, custodial banks, retail banks, financial planners and others. There is no equivalent of a stock exchange to consolidate the allocation of investments and promulgate fund pricing and as such it is considered a fragmented and decentralised industry. High-net-worth individuals (HNWIs), small-business owners and families who desire the assistance of a credentialed financial advisory specialist call upon wealth managers to coordinate retail banking, estate planning, legal resources, tax professionals and investment management. Wealth managers can have backgrounds as independent Chartered Financial Consultants, Certified Financial Planners or Chartered Financial Analysts, Chartered Strategic Wealth Professionals, Chartered Financial Planners, or any credentialed professional money managers who work to enhance the income, growth and tax-favored treatment of long-term investors. Venrock, a compound of "Venture" and "Rockefeller", is a venture capital firm formed in 1969 to build upon the successful investing activities of the Rockefeller family that began in the late 1930s. It has offices in Palo Alto, California, New York City, and Boston, Massachusetts. Acumen is a non-profit impact investment fund with over 15 years’ experience in investing in social enterprises that serve low-income communities in developing countries across Sub-Saharan Africa, South Asia, Latin America, and the United States. It aims to demonstrate that small amounts of philanthropic capital, combined with large doses of business acumen can result in thriving enterprises that serve vast numbers of the poor. Over the years, Acumen has invested $115 million in 113 companies and has had a successful track record in sourcing and executing investment opportunities in the clean energy, health care and agriculture sectors. Afsaneh Mashayekhi Beschloss is an American (Iranian-born) businesswoman, entrepreneur and economist. She founded and is the CEO of RockCreek, a leading global investment firm that applies technology and innovation to investments, which she founded in 2003. She is a member of the board of trustees of the Institute for Advanced Study at Princeton, broadcaster PBS, the American Red Cross, the World Resources Institute and former Board Chair of the World Wide Web Foundation. Beschloss is past chair of the Investment Committee of the Ford Foundation and was on the Investment Committee of the Rockefeller Brothers Fund. She was a member of the board of trustees of the Colonial Williamsburg Foundation, the Ford Foundation, and the Urban Institute. Jean Case is an American businesswoman. She is Chairman of the Board of National Geographic, CEO of the Case Foundation, and a philanthropist, investor, technology industry pioneer and author of Be Fearless: 5 Principles for a Life of Breakthroughs and Purpose (2019). She, along with her husband, AOL co-founder Steve Case, created the Case Foundation in 1997 and they joined the Giving Pledge in 2011, committing to give away a majority of their wealth. TechnologyOne Limited is an Australian enterprise software company. TechnologyOne was founded in 1987 in Brisbane, Australia. Impact investing refers to investments "made into companies, organizations, and funds with the intention to generate a measurable, beneficial social or environmental impact alongside a financial return." Impact investments provide capital to address social and/or environmental issues. They can be made in either emerging or developed markets, and depending on the goals of the investors, can "target a range of returns from below-market to above-market rates". Impact investors actively seek to place capital in businesses, nonprofits, and funds in industries such as renewable energy, basic services including housing, healthcare, and education, micro-finance, and sustainable agriculture. Impact investing occurs across asset classes; for example, private equity/venture capital, debt, and fixed income. Joseph Todd "Joe" Lonsdale V is an American entrepreneur, investor, and philanthropist. He is a founding partner at 8VC, a technology investment fund. Most recently, Lonsdale was a founding partner at Formation 8, one of the top performing private funds and the precursor fund to 8VC. Together these funds manage over $2.7 billion. He was an early investor in many companies including Wish, Oculus, Illumio, Virgin Hyperloop One, RelateIQ, ZenReach, Color Genomics, and uBiome. Lonsdale also co-founded and serves as chairman of Addepar, a wealth management technology company, and OpenGov, a technology platform that helps manage data intelligence and budget processes of governments. In 2004, Lonsdale co-founded Palantir Technologies, a company focused on analyzing, integrating, and visualizing data especially in defense and finance. In 2018, Joe placed #22 on the Midas List, which makes him the top ranked venture investor in the world under 40 years old. Donald Tang is an American businessman, renowned veteran investment banker, surviving media entrepreneur, and content business innovator. He is the founder of Tang Media Partners and Global Road Entertainment. Prior to his current position, he served as Vice Chairman, Bear Stearns, and Chairman of Bear Stearns Asia. CQS is a London-based global multi-strategy credit-focused asset management firm. It launched its first credit strategy in 2000 and now manages a range of investment mandates. Specific investment capabilities include convertibles, asset backed securities, credit, loans, structured credit, and equities. US SIF: The Forum for Sustainable and Responsible Investment is a United States-based membership association located in Washington, DC that advances sustainable, responsible and impact investing (SRI) across all asset classes. US SIF was formerly known as the Social Investment Forum. It changed its name on June 9, 2011. Social Finance, Inc. is a nonprofit organization focusing on the emerging field of Pay for Success (PFS) financing in the United States. Social Finance provides advisory, social investment, and active performance management services to public- and private-sector partners seeking to drive more resources to social programs that deliver proven results to those in need. The organization has offices in Boston, MA, Austin, TX and San Francisco, CA. LeapFrog Investments is a private investment firm that invests in high-growth financial services and healthcare companies in emerging markets. The firm's investments have an annual growth rate of more than 40% and its companies reach approximately 130 million consumers, primarily in Africa and Asia. ↑ Hallemann, Caroline (11 May 2016). "What It's Like to be a Rockefeller in 2016". Town & Country . Retrieved 21 March 2017. ↑ "Global Conference 2016 Speaker: Justin Rockefeller". milkeninstitute.org. Milken Institute . Retrieved 21 March 2017. ↑ Foley, Stephen (December 1, 2016). "FT Wealth Investors With Impact" (PDF). The Financial Times. Retrieved December 6, 2017. ↑ 1974-, Goldseker, Sharna. Generation impact : how next gen donors are revolutionizing giving. Moody, Michael Patrick, 1967-. Hoboken. ISBN 9781119422815. OCLC 1003317577. ↑ "SEN. ROCKEFELLER, WIFE ANNOUNCE MARRIAGE OF JUSTIN ROCKEFELLER TO INDRÉ VENGRIS". US Fed News Service, Including US State News. 15 September 2006. Archived from the original on 22 March 2017. Retrieved 21 March 2017. ↑ Sulcas, Roslyn (8 December 2007). "The Chamber Dance Project - Dance - Review". The New York Times . Retrieved 21 March 2017. ↑ Macaulay, Alastair (13 October 2008). "Couples: Balanchine on the Man-Woman Thing, at Kennedy Center". The New York Times . Retrieved 21 March 2017. ↑ Bray, Sarah (10 February 2014). "Inside The Home Of Moda Operandi's Indre Rockefeller". ELLE Decor. Retrieved 21 March 2017. ↑ Halberg, Morgan (12 August 2016). "Justin and Indre Rockefeller Part Ways With Eclectic Park Avenue Home". The Observer . Retrieved 21 March 2017.